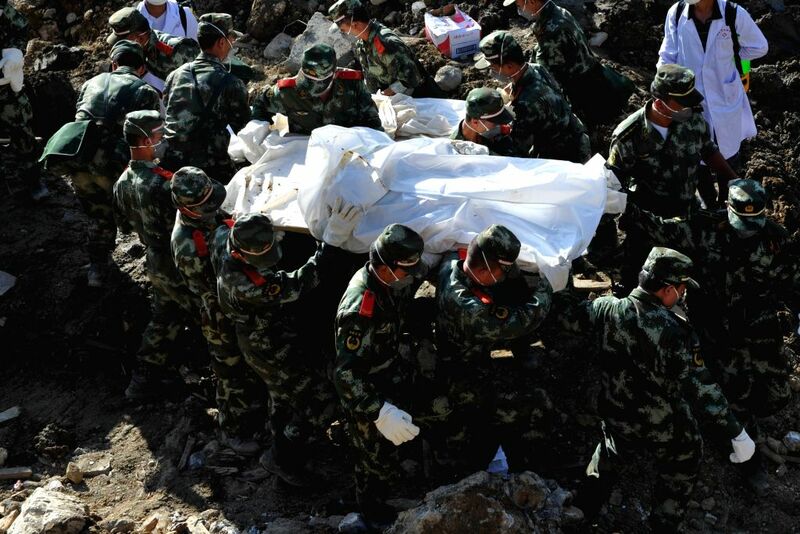 FUQUAN, Aug. 30, 2014 - Soldiers carry the body of a victim of a landslide in Yingping Village of Daoping Township, Fuquan City, southwest China's Guizhou Province, Aug. 30, 2014. 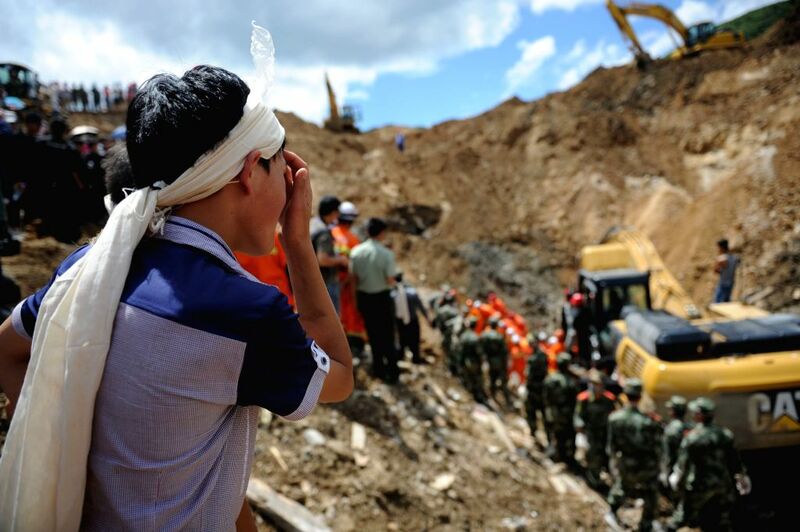 Nineteen people have been confirmed dead while four others remain missing after the landslide hit the village on Aug. 27. A relative of a victim waits at the site where a landslide occurred in Yingping Village of Daoping Township, Fuquan City, southwest China's Guizhou Province, Aug. 30, 2014. Nineteen people have been confirmed dead while four others remain missing after the landslide hit the village on Saturday. 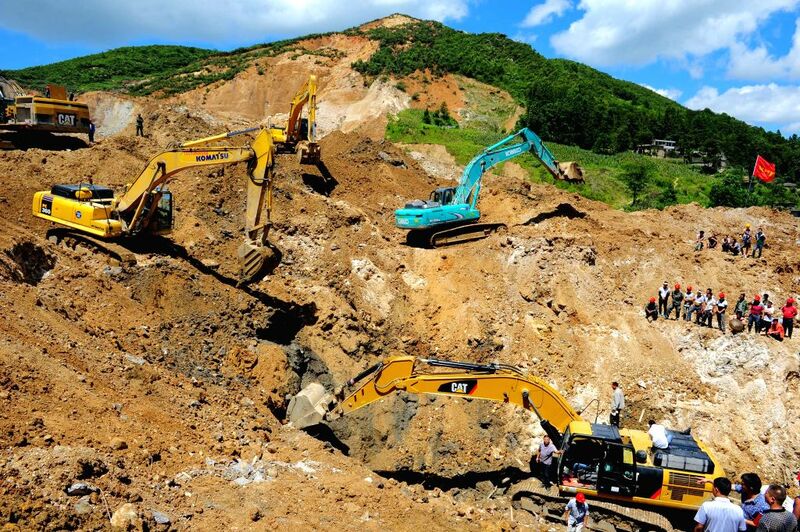 Excavators are used for the rescue work after a landslide occurred in Yingping Village of Daoping Township, Fuquan City, southwest China's Guizhou Province, Aug. 30, 2014.